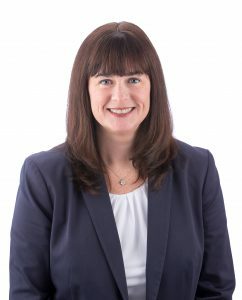 Judith McKinnon joined the Law Office of Rosanne Klovee, Of Counsel, in December 2017. Prior thereto, she spent seventeen years at the boutique family law firm of Stone, Stone & Creem located in downtown Boston. Ms. McKinnon concentrates her practice in the area of domestic relations including divorce, custody agreements, modifications, contempt actions, appeals, child support, and paternity matters. Ms. McKinnon received her Bachelor of Science degree from Boston College and her law degree from Suffolk University Law School. She was admitted to the Massachusetts Bar in December 1999. After law school, Ms. McKinnon worked as a law clerk in the Massachusetts Probate and Family court, where she had the opportunity to work closely with many of the State’s Probate Judges. Ms. McKinnon is a Certified Financial Litigator and a member of the American Academy of Certified Financial Litigators. Ms. McKinnon is a member of the Massachusetts Bar Association, the Boston Bar Association, the Women’s Bar Association, the Middlesex County Bar Association, Essex County Bar Association, and the Massachusetts Association of Guardians Ad Litem (“MAGAL”). She is also a member and present Board Member of the Massachusetts Family and Probate Inns of Court. Ms. McKinnon is also a member of the Greater Boston Family Law Inn of Court. Additionally, Ms. McKinnon has served as President (2013-2014), Vice President, and a former Board Member of the Massachusetts Association of Women Lawyers (“MAWL”). She was also a former member of the Joint Bar Committee on Judicial Appointments as the MAWL representative. Ms. McKinnon is currently involved in various public interest initiatives including the Middlesex Bar Conciliation Program. She was named as a “Rising Star” in the Massachusetts Rising Stars “Super Lawyers” publication from 2007 through 2014.